It is rated as the third largest industry movie industry in the world after Hollywood in the USA and Bollywood in India. Nollywood as the Nigerian film industry is called, is a revolution that enables the production of African films with rather minimal resources. In just over a decade, the industry has grown from basically nothing to an industry worth circa $250 a year with so many people looking up to it for sustenance. Nollywood.com believes that some three hundred producers churn out between 500 and 1000 movies a year. The simplicity of the plots depicting the realities of every day life, corruption from high and low, prostitution, occultic deals, love, and romance amongst others as well as the affordable nature of the prices makes for huge consumption of Nollywood products. Products of Nollywood have transcended Nigerian and African borders and are today found all over the world. 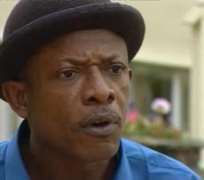 Popularly known as Ukwa because of his character in the hilarious comic movie of the same name, Nollywood.His is one of the most prominent faces of Nollywood whose notoriety has gone beyond the confines of Nigeria and Africa.Nkem Owoh also known by Osuofia by some, a character in one of his numerous movies, is one of the gifted actors in the Nigerian home video sector. He is most popular for his interpretation of roles; a talent which has endeared him to the hearts of many people both locally and abroad. The talent of Nkem Owoh has gone beyond the confines of acting as he has proved himself to be a successful singer as well with the production of an album which got controversial reviews especially the song “titled I go chop your dollar” which many thought went a little too far in abetting the dubious 419 activities that are the stock in trade of some unorthodox Nigerians. I was born in Udi, Enugu State. I had my primary and secondary school in Nsukka. For my tertiary education, I had a stint with the University of Ilorin and later IMT Enugu, where I graduated as an Electrical Engineer after which I proceeded on my national youth service in Ogun State. However, I had a stint with television shortly before joining IMT. I was at both the NTA and Channel 8 in Enugu. They sacked me because they were trying to protect themselves and they were putting me in a fix. But that was the way God wanted the whole thing to go in order for me to reach His desired goal for my life. I cannot be grateful to those that sacked me; afterall the fact that Judas was instrumental to the death of Jesus Christ doesn't make him (Judas) a good man although the Bible had already said that somebody must betray Christ. I thank God that today I have so many people under my employ and a legion of trainees under my tutelage. Within that same period, the late Ken Saro-Wiwa came up with Bassey and Company. He made me the production manager. This particular offer was very engaging, because I was given an official car, a house, an office and all other required conveniences that aided my job. This was in Enugu although we had our main office in Port Harcourt. At a stage, I was the script editor of Bassey and Company. People did not take note of these. It was when I came to limelight that some went back down the memory lane to discover that I have been around for sometime. Apart from my acting career, I am also very much involved in the business aspect of showbiz. I have my own production outfit which I must say has been developing in the last seven years. My editing studio too was installed three years ago. I have cameras that I hire out both for high-tech movie productions and coverage of social functions. I also have a school film where I train writers, actors and other talents in the profession. I have a branch office in Enugu where I sell accessories for film productions. I think it was a kind of misunderstanding, since people in the sector usually misunderstand certain positions. I give the marketers kudos (marketers, with reservation). Marketing is a different ball game from what they are doing. But if they choose to be called by that name it is fine by me, but mere distributorship cannot encompass the true meaning of marketing. In fact, the issue of distributors sitting down in the market and waiting for the buyer to come and pick up the movies they require is not a good way of distribution. Despite all this short comings, I still give them kudos because they were the first to take the risk of plunging their funds into the movie video sector even when uncertainty was prevalent. But I can say that this unnecessary show of power has not helped anybody at the end of the day. Let us check how much sales they have made since the ban, no doubt their action has affected the industry quite negatively, they are losing and the affected too artistes are losing. But I can assure you that for some of us in this business; it is going to end on a very positive note in terms of us breaking into the international arena as world class artistes that we really are. So at the end of the day, if I now decide to charge my clients only in dollars based on the reality of the time, it is then that the marketers would realize that the Nigeria artiste is still very poorly paid. We must learn to follow universal standards if the international market is ever to take us seriously. I am not the type of artist that will be running from one location to the other and so I demanded for some level of sanity because I was coming from the old NTA style where things were planned and artistes were camped for a while before recording commenced. I know one or two producers in the past who allowed some suggestions from the artistes and at the end of the day, they were the better for it. We are no longer crazy about the local market because we have seen the potentials of the international market and what it holds for us is unbelievable. It is the world that christened us Hollywood and now that the world beckons, we cannot afford to play the sleeping giant any longer. Because of the level of insincerity on the part of government officials to themselves and the very terrible way they choose to deal with the Nigerian people, I have had to turn down many invitations to come and entertain during government functions right from the Presidency to the local government. I have refused to do anything for them. I am a personal friend to some people in government but I won't entertain them. It is a way of showing my displeasure to those in power that I am not impressed by the high level of misrule in the land. The government is not doing what they should be doing for Nollywood. Look, we are not begging them for money, all we want are relevant policies to help protect our profession and investments. We have a government, yet people come here and steal our sweats by way of copyright infringements. Until such a time when I am sure that our government can safe guard this industry, I won't be happy with them and until such a time when they become socially responsible and responsive, I will not touch their contract and this is my own social responsibility and contract with the Nigeria people.